In the center of Guatemala is a city by the name of Cobán, and it is here that the cobánero chili pepper has been grown since Mayan times. The small red pepper has been an integral part of the local's cuisine for centuries. Perhaps the most common use for cobanero chili is in kak'ik or kaq’ik, a turkey stew that so happens to also be the national dish of Guatemala. Cobanero chilies (also sometimes called Coban chilis) are a small conical shaped fruit that typically only grows to one inch in length. (The cobanero's size is similar to that of a piquin pepper.) On the vine, the chili slowly turns to its red tone after it is allowed to mature. The chili can be eaten raw just like you would any other fresh pepper. But it is the drying and smoking process done to cobanero pepper that gives it a deep red color and smokey flavor. Once dried they may be left as whole pods or ground into a powder of varying textures. Unfortunately, we were not able to locate raw coban chilies, nor whole dried pods either, but we did find a small bottle of the ground pepper. Immediately when we peeled away the safety seal we were met with a strong smoky scent. This chili is clearly ground in its entirety or meaning that the seeds are also included in the mix. When we placed some on our tongue, the scent made me think of dried chipotle peppers. The taste is smokiness which is quickly followed by intense heat, but it doesn't last all that long. It's clear that cobanero chilies make up for their size with heat and flavor. This pepper is much spicier than chipotles, but not quite as spicy as a habanero chili. There isn't a whole lot of information (online) about the Coban chili, so we weren't able to verify the 30,000 to 50,000 SHU rating that this website gives it. But if that is correct, that rating would make this pepper about as hot as cayenne or tabasco chilies. The flavor of cobanero chili is a very pleasant one, and definitely a pepper that can easily be incorporated into your cooking. It makes a great addition to spice mixes, spice rubs for grilling meats, on top of a fresh salad, or sprinkled over just about anything you'd like to add some heat to. 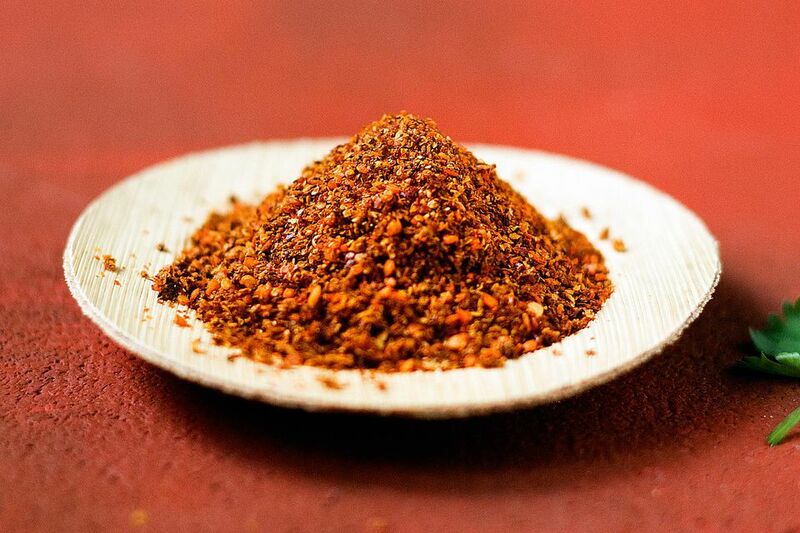 It would also make a great alternative to chipotles or anytime a recipe calls for red pepper flakes. In Guatemala, the cobanero is not only used for the previously mentioned turkey stew, but also to flavor meats, sausages, and for making a wide variety of salsas and hot sauces. If you're interested in tasting cobanero chili, you can try your local Latin American market or section of the grocery store, this is where we found ours.